Including four world premieres and six new Australian stories, eight extraordinary plays headline Queensland Theatre’s Season 2018. The most equitable and diverse season yet features a roll call of theatre greats and emerging stars, the likes of Matthew Backer, Jimi Bani, Liz Buchanan, Leon Cain, Danielle Cormack, Tim Finn, Jason Klarwein, William McInnes, Joss McWilliam, Andrea Moor, Rhys Muldoon, Veronica Neave, Christen O’Leary, Hugh Parker, Bryan Probets, Osamah Sami and Jessica Tovey, as well as continued commitment to no male-only design teams and more opportunities for female directors and playwrights. The crowd was especially excited by director Paige Rattray’s introduction to Hedda, where she expressed her intent to take ownership of the female voices in the canon and “throw them up in the air and spin them on their heads”, reimagining them for continued relevance in contemporary theatre. This adaptation of Ibsen’s classic promises to be a highlight of the 2018 season. The year opens on February 1 with the Queensland premiere of Black is the New White, followed by The 39 Steps. In April Twelfth Night opens featuring a suite of new original songs by maestro Tim Finn. In May Queensland Theatre presents the world premiere of The Longest Minute, a story about football and family and one unforgettable NRL grand final. The award-winning story Good Muslim Boy takes on the monumental question of faith, before Strong’s multi-Helpmann-nominated and winning Jasper Jones opens in July. On October 6 the world premiere of acclaimed playwright David Williamson’s Nearer the Gods will take place, with Matthew Backer, William McInnes and Rhys Muldoon. To close Season 2018 Logie Award-winning actor Danielle Cormack will become the Hedda audiences have all been waiting to see in Melissa Bubnic’s local version of the Henrik Ibsen classic that is as dangerous and surprising as its heroine. Cormack is joined on stage by powerhouses Jimi Bani, Jason Klarwein, Joss McWilliam and Andrea Moor. 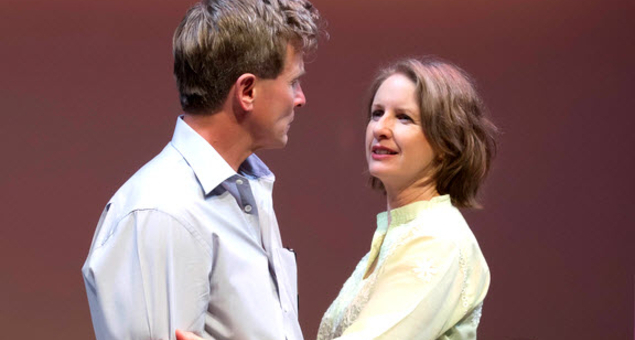  More Queensland exclusives, including David Williamson’s newest play, a new version of Shakespeare’s Twelfth Night with songs by Tim Finn, a new play about the 2015 NRL Grand Final, and a re-imagined version of Hedda Gabler set on the Gold Coast.  More national reach through relationships with Sydney Theatre Company, Melbourne Theatre Company, Malthouse and State Theatre Company of South Australia among others.  More leadership in equality, with gender parity of writers and directors for the second consecutive year – a continuation of the 2017 commitment; no all-male design teams; and Queensland Theatre working with more than a dozen Aboriginal and Torres Strait Islander artists.  More commitment to North Queensland and its stories with a play about the North Queensland Cowboys to premiere in Cairns and Townsville before coming to Brisbane.  More local stage stars including Jimi Bani, Liz Buchanan, Leon Cain, Jason Klarwein, Joss McWilliam Andrea Moor, Veronica Neave, Christen O’Leary Hugh Parker and Bryan Probets.  More national cast coming to Brisbane including Matthew Backer, Danielle Cormack, William McInnes, Rhys Muldoon, Osamah Sami, and Jessica Tovey.  More of the most successful work from around the country, including sell out hits from Melbourne Theatre Company and Sydney Theatre Company directed by Sam Strong and Paige Rattray. 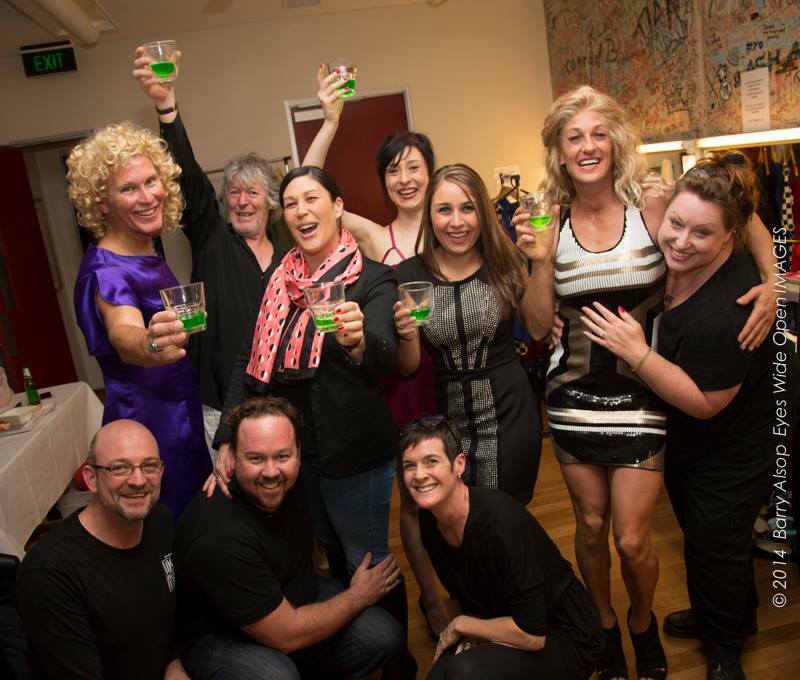  More state-wide engagement through relationships with QPAC, debase production, JUTE Theatre Company and Dancenorth.  More new stories, with four world premieres and six new Australian stories (2/3 of the season). Roland Makepeace (Mark Lee) knows what makes people happy. Why wouldn’t he? He’s an eminent professor of psychology who has devoted his life to scientifically investigating human well-being. But his theories are sorely tested when his wife Hanna (Anne Tenney) meets an old suitor Sam (Peter Kowitz) and his daughter Zelda (Erica Lovell) threatens to go right off the rails. This sharply observed comedy suggests that theory can sometimes fall well short of reality and that finding happiness is easier said than done. It’s very funny – you’ll laugh and laugh – but you’ll also empathise with the characters. What I love is the irony of this professor of happiness surrounded by unhappiness when he’s done everything right. Only David can bring us this kind of irony. The Queensland Premiere of David Williamson’s new comedy, Happiness, happened without the playwright and his wife, Kristen in attendance, which was strange, making the night less of an occasion than it might have been with them there. 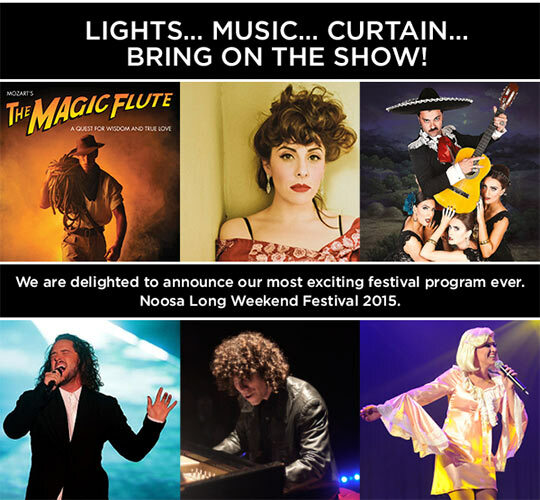 It’s a pity that an overseas trip clashed with The Noosa Long Weekend Festival. It’s always such a pleasure to see them. I guess I’m not a big fan of Ensemble Theatre, however; you know I’m a huge fan of David’s, and I usually enjoy his plays. And there it is. I love the writing of this one too – it’s sharp, funny, and typically Williamson, which you either love or you hate – it’s the treatment that baffles me. And by baffled I mean I don’t understand how Ensemble Theatre and Artistic Director Sandra Bates, can do exactly the same thing with great new material year after year. The text is totally current; it’s sharp, witty, funny, and overflowing with wonderful social commentary and close observations about life and love and complicated relationships. Sure, we’ve heard a lot of it before, but I love the way Williamson offers a fresh take on tired old gender and political issues. The characters are complex and yet we see one layer only of each. Except for Mark Lee, who plays Roland, and to a certain extent Anne Tenney, who plays his wife. The character seems to be written for him, such is his authenticity in the role. I would like to say the same of the rest of the cast but when I see these performances, I feel like shouting out “STOP ACTING! And Chill!”, which is something I find myself saying to student actors when I perceive them to be trying too hard. Despite my misgivings, the opening night audience LOVED the new Williamson, as they always do. In fact, Stephen and I were sitting behind a party of people who were almost overcome with emotion, who gushed and would like to have seen it again today. Tonight is the final performance by Ensemble Theatre of David Williamson’s Happiness as part of the Noosa Long Weekend program. If you love David’s work, you must see it somewhere, sometime. This will be wonderful! I can’t wait to see this show with my mum – we are long-term Robyn Archer admirers – and THEN we’ll also go to afternoon tea with Robyn on Wednesday (I’ll tweet it!). Her show is an epic journey through two centuries of French song, including works from Aristide Bruant through to Jacques Brel, Brigitte Bardot and Michael Morley. WOW! Sung and spoken by Robyn Archer, musical direction and piano by Michael Morley and accordion George Butrumlic. BUT WAIT! THERE’S MORE! THERE’S THE LOVELY AFTERNOON TEA! Join Robyn Archer (and Mum and I! ), for afternoon tea and a chat about Festivals in Australia, a topic Robyn is able to wax lyrical about, with a long list of Festival Director credits to her name. 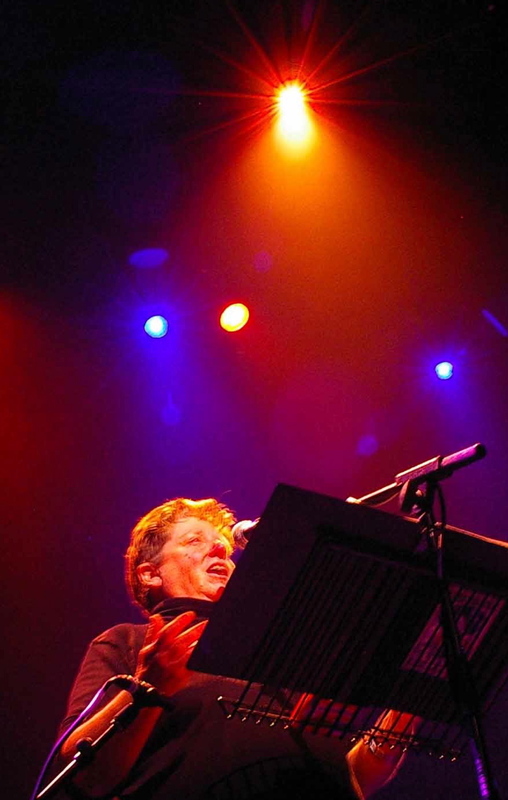 Robyn Archer’s career took this turn accidentally, with an invitation while she was performing her show Le Chat Noir in Canberra to direct the festival, hosted by the national capital. She directed 1993, 1994 and 1995 editions and this began a remarkable string of Artistic Director positions at The Adelaide Festival of Arts (1998 and 2000), the Melbourne International Arts Festival (2002-2004). She created Ten Days on the Island, an international arts festival for Tasmania, spent two years as Artistic Director of the European Capital of Culture, and advised on the start-up of Luminato in Toronto. Helix Tree by Bruce Ramus. Image by Angela Wylie. In 2007 Archer created The Light In Winter for Federation Square in Melbourne, and in July 2009 was appointed Creative Director of the Centenary of Canberra 2013. She is in frequent demand as a speaker and public advocate of the arts all over the world. Directed by Sandra Bates and featuring Adriano Cappelletta, Glenn Hazeldine, Peter Kowitz, Mark Lee, Erica Lovell & Anne Tenney of Sydney’s Ensemble Theatre, David Williamson’s Happiness will give you something to think about! Roland Makepeace (Mark Lee) knows what makes people happy. Why wouldn’t he? He’s an eminent professor of psychology who has devoted his life to scientifically investigating human well-being. But his theories are sorely tested when his wife Hanna (Anne Tenney) meets an old suitor Sam (Peter Kowitz) and his daughter Zelda (Erica Lovell) threatens to go right off the rails. A sharply observed comedy, just as we have come to expect from David, suggests that theory can sometimes fall well short of reality. And finding happiness is easier said than done. Rather than previewing the play in Noosa during the Long Weekend as has happened in the past, Ensemble Theatre have already given it a run in their home town (to mixed reviews!). I’m looking forward to seeing it myself! If you’re not at Happiness on Tuesday night, check out the fabulous story telling session at Noosa Arts Theatre, hosted by Richard Fidler and Melanie Tait, and featuring some very brave people sharing their stories to the theme “The First Time”. It’s like being around a campfire, only there’s a few more people listening.